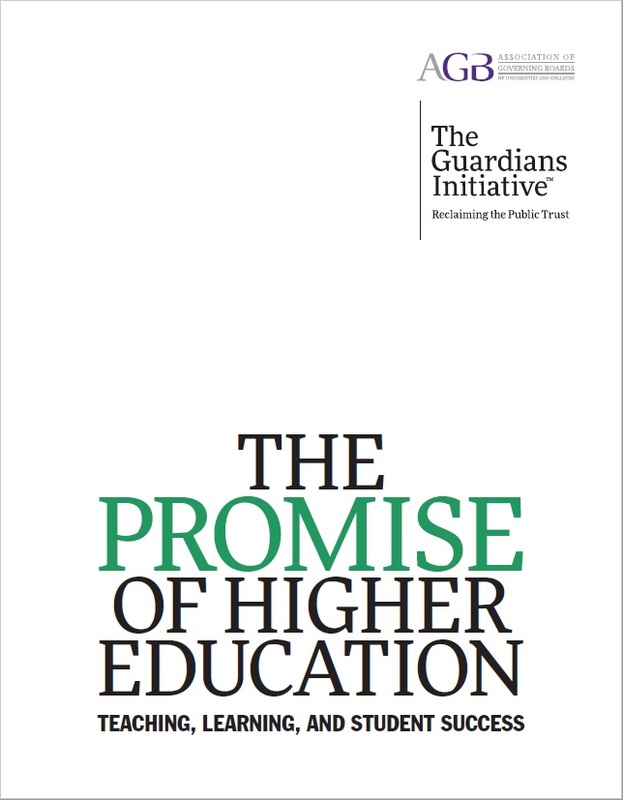 AGB is pleased to share this third publication in a series of informational briefings developed as part of The Guardians Initiative: Reclaiming the Public Trust, an effort to educate and engage trustees as advocates on key issues in higher education. The compact between American higher education and the broader society has always been multifaceted. Colleges and universities make a number of promises to society, consistent with each institution’s mission, seeking to improve the quality of life through the creation and application of new knowledge and to serve their communities as resources for information, expertise, civic advancement, and cultural and artistic expression. Here we address a central promise: that the nation’s institutions of higher education will teach and provide valuable learning to their students. We consider this through the lenses of historical models as well as contemporary endeavors to reimagine educational programs to meet the changing needs of students and society. For highlights from this report, please see here.